Thinking of taking a trip abroad? Or maybe relocating for good? 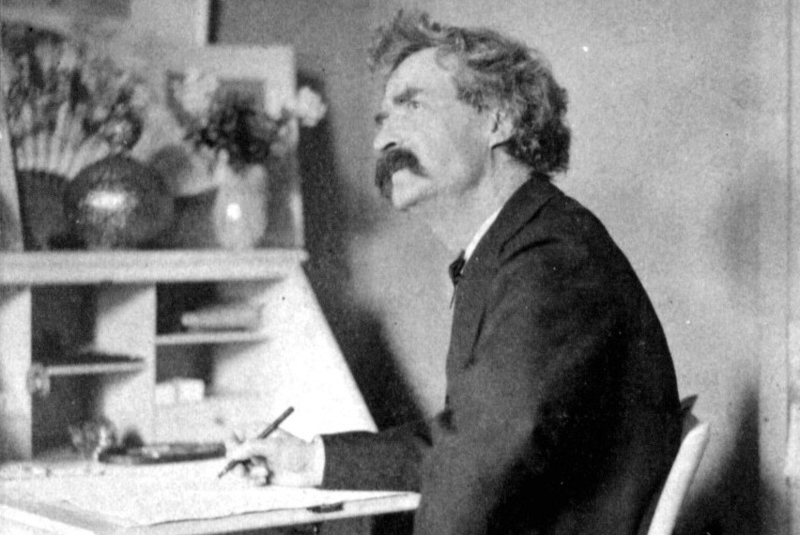 Americans would do well, even 150 years hence, to attend to Mark Twain’s satirical account of U.S. travelers journeying through Europe and Palestine, The Innocents Abroad. The “Americans who are painted to peculiar advantage by Mr. Clements” (sic), as fellow American satirist William Dean Howells wrote at the time, still roam the Earth----including travelers like one who “told the English officers that a couple of our gunboats could come and knock Gibraltar into the Mediterranean Sea.” The tactlessness and belligerence Twain skewered do not feel historically so far from home. Twain’s portraits---“somewhat caricatured… or carefully and exactly done”---proved so popular with readers that he followed up with an unofficial sequel, 1880's A Tramp Abroad, a somewhat more serious fictionalized travelogue of Americans journeying through Europe; this time but two, Twain and his friend “Harris.” In the previous book, complained Howells, the reader learns “next to nothing about the population of the cities and the character of the rocks in the different localities.” Here, without his comedy troupe of traveling companions, Twain directs his focus outward with minute descriptions of his surroundings. He is, as usual, supremely curious, often perplexed, but mostly delighted by his experiences. Except when it comes to the food. American coffee, with real cream. American toast. Clear maple syrup. Blue points, on the half shell. Oysters roasted in shell-Northern style. Brook trout, from Sierra Nevadas. Sheep-head and croakers, from New Orleans. Black bass from the Mississippi. Bacon and greens, Southern style. Boiled potatoes, in their skins. New potatoes, minus the skins. Early rose potatoes, roasted in the ashes, Southern style, served hot. Sliced tomatoes, with sugar or vinegar. Stewed tomatoes. Green corn, cut from the ear and served with butter and pepper. Green corn, on the ear. Hot corn-pone, with chitlings, Southern style. Apple dumplings, with real cream. Peach pie. American mince pie. All sorts of American pastry. Fresh American fruits of all sorts, including strawberries which are not to be doled out as if they were jewelry, but in a more liberal way. Ice-water—not prepared in the ineffectual goblet, but in the sincere and capable refrigerator. It depends on where you go, but while abroad this American misses the chance to sample good ethnic cuisine _other_ than the traditional dishes of the country I happen to be visiting (sometimes you just really crave sundubu in Nairobi, or lamb tagine in Manila*). I know we’re supposed to call ourselves backwater bumpkins who don’t speak foreign languages or know anything about the wider world, but it’s often striking to me how homogeneous other countries can be cuisine-wise. That, and a lot of the world doesn’t have access to flamin’ hot cheetos. *I am sure there is sundubu in Nairobi and lamb tagine in Manila, it’s just that all you need to do is close your eyes and start walking in any random direction to find it in New York City or L.A.